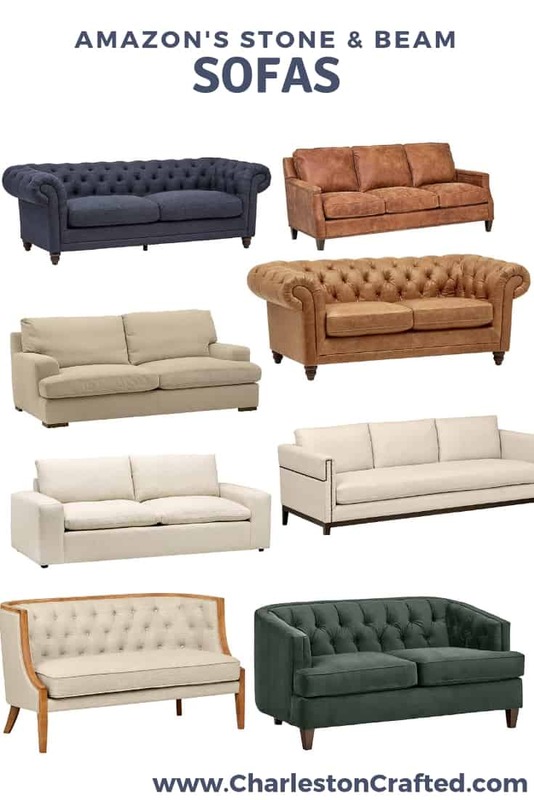 I have recently been on a sofa-hunt, and while I ended up deciding to stuff and revive our existing couch, I did find a lot of cool sofas and sectionals online. I have previously shared my love for Amazon’s Stone and Beam furniture line and wanted to pop in today to share my favorite Stone & Beam sofas with you! Also be sure to check out my round ups of Stone and Beam table lamps and Stone and Beam floor lamps! Click here to pin this post to your Pinterest board! 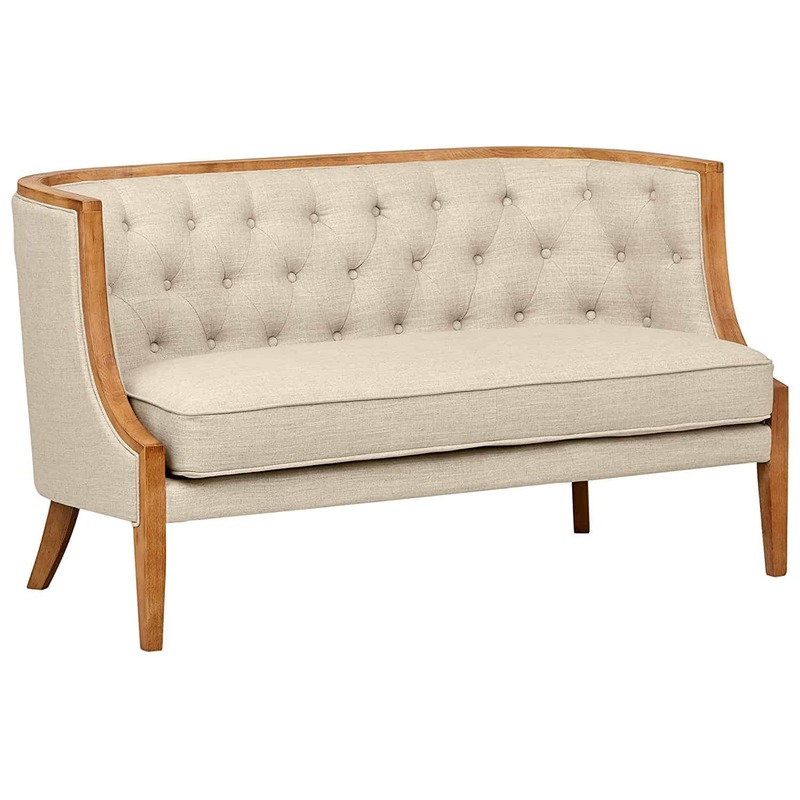 I love the tufted look of this sofa – it has a really formal feeling. I am also of course obsessed with the navy color! If only I didn’t have a sheddy white dog. The detailing on the legs is really nice, as well, and definitely makes this Stone and Beam sofa look more expensive than it is. 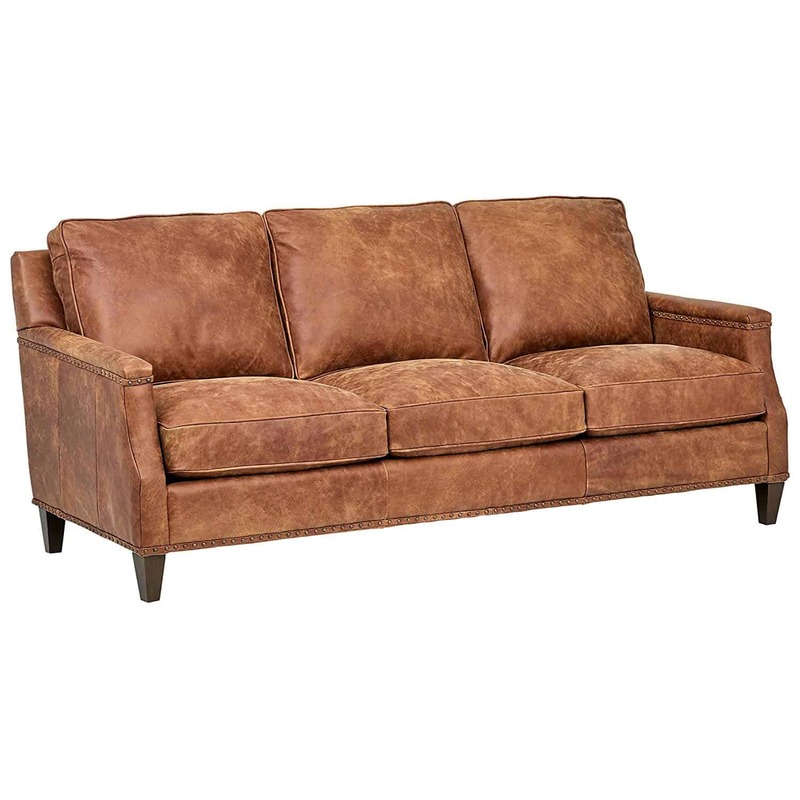 If you are looking for a leather couch, this one is really pretty! I love the lines of the arms and the sleek shape of the legs. It also comes in a loveseat, chair, sofa, recliner, and ottoman. While I do not advocate for matchy-matchy furniture, having all of those options really opens a lot of possibilities! I love the look of this traditional, cozy couch. It is very deep and wide and just one look makes me want to dive right in! This sofa has really, really good reviews and also comes in a grey color. Can’t get enough tufts? This leather tufted couch could work in a formal living room or in a cozy TV room. I love all of the luxe details and think that it could work with a variety of styles of decor! Here is another cozy sofa for you! Can you believe that this comes from Amazon?! I love the look of the pillowed seats and that this comes in Ecru and Grey tweed. It looks like such a comfortable place to curl up and read a book! 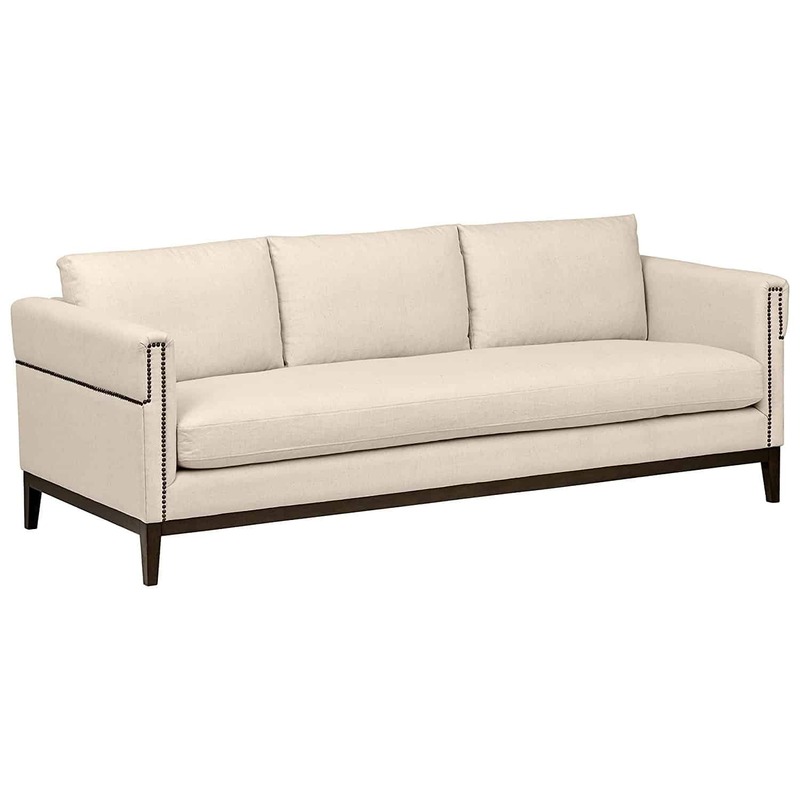 The nail head trim + crisp lines of this sofa definitely give it a more formal look. How stunning would it be in a library, office, or reading room?! I am obsessed with the wooden trim accents on this Stone & Beam loveseat. I love the contrast of the modern lines with the more traditional tufts – it’s a great look! 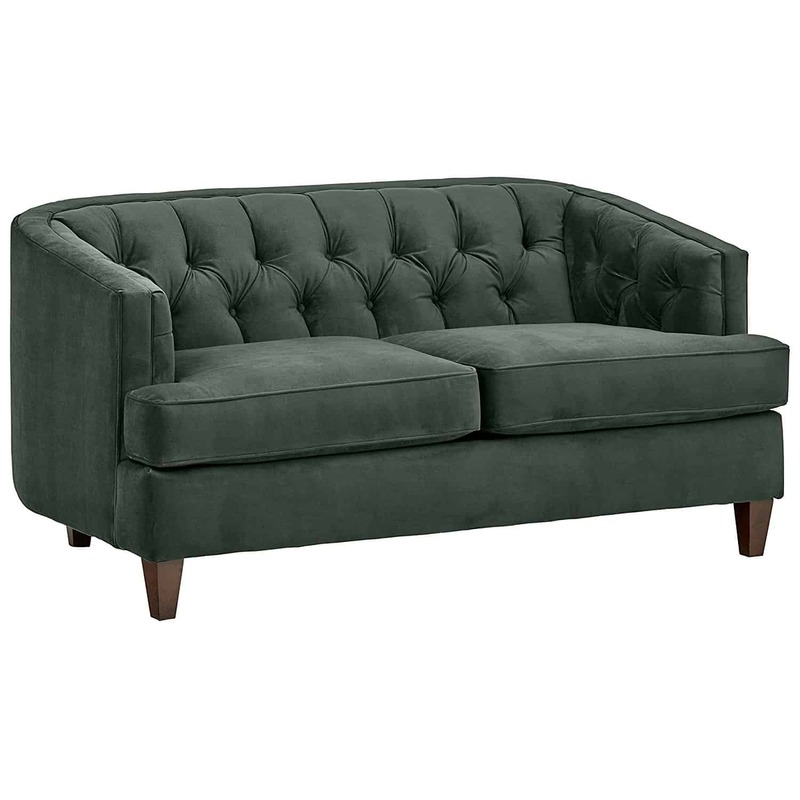 This hunter green love seat is just delicious! The fabric looks so luxe and expensive, it is a great deal for the price and no one would believe that is came from Amazon! Which is your favorite? Would you ever buy a sofa from Amazon? 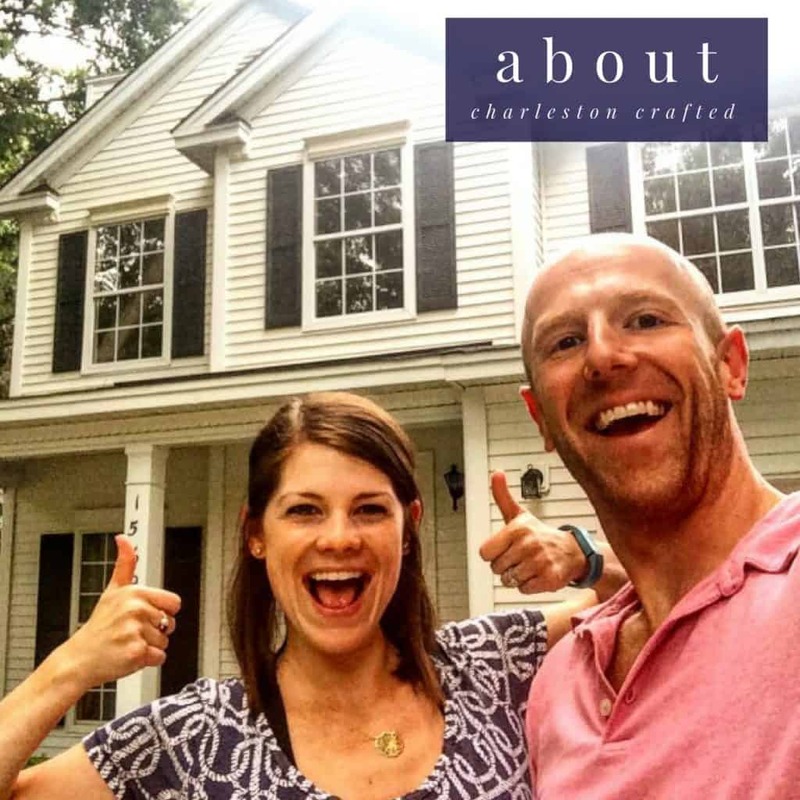 If you have, I’d love to hear your review! This post contains affiliate links, which means that if you click through and make a purchase, we receive a percentage of the sale. Thanks for your support!